The multipurpose project of the Volgograd (Gumrak) airport construction and equipment with Runway Supervisory Unit (RSU) based on SEGMENT modules is successfully completed. The project was carried out within the Volgograd airport preparation to host the 2018 FIFA World Cup. The operational readiness of the facility is confirmed. The Gumrak airport equipment was carried out as a turnkey project – the whole work package is completed: the equipment installation project development is carried out, RSU area development, communication lines organization, landscaping works, modular buildings and transformer substation manufacturing and supply, modules and equipment installation and commissioning, as well as all necessary tests. The RSU comprises the set of modular buildings: ATC Tower technical control and monitoring module with 180° glazing, living quarters and recreation module, diesel generator set, transformer substation. 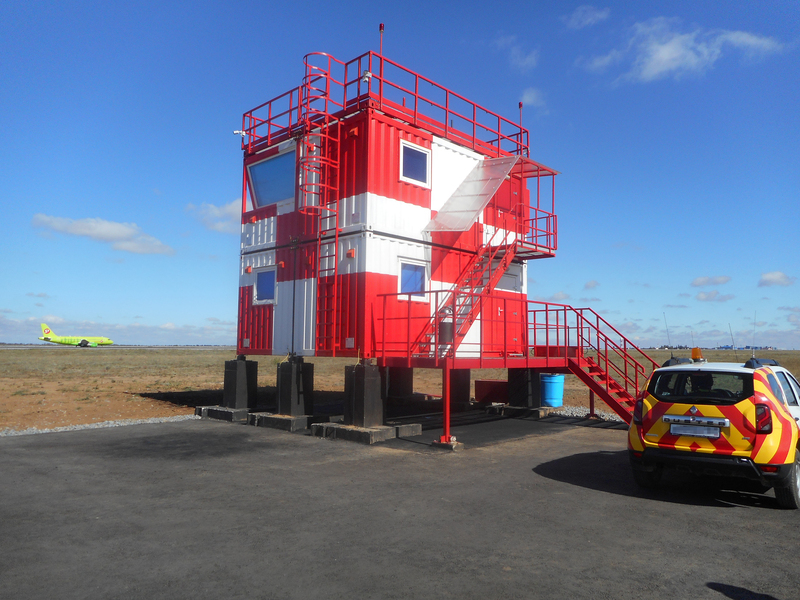 The remote workstation with data transfer from the Volgograd centre ATC System, the branch of “South air navigation services”, was organized for air traffic control in the ATC Tower module airport area. The air traffic efficiency and safety will be highly improved thanks to the modern technology applied in the RSU implementation. It should be noted that the project of the Volgograd airport equipment became the first where the use of double volume modular buildings was applied, that joined on the long side, forming a wide space for the various areas efficient organization and making the stuff work more comfortable.